Thank you for taking a moment to learn more about Hernandez Home Watch Handy Services and what makes us uniquely qualified to serve the luxury community in Naples with Home Watch Services. 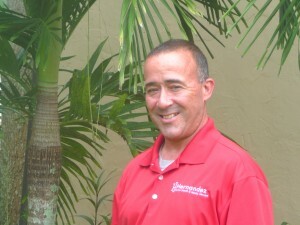 Clyde Hernandez is the President, Owner and Operator of Hernandez Home Watch & Handy Services and is supported by his wife Mary Hernandez, Vice President – both of whom approach business with the belief that our client’s home needs are of utmost priority. -Arranging transportation to and from the airport whether it’s Naples or Fort Myers. -Providing the basic staples in the refrigerator so you don’t have to grocery shop when you walk in the door. -Setting out food and water for your pets, they’re just as thirsty as you are. -Arranging for bedding, car seats, high chairs and anything else you might need for a visit from a little guest. -Anything else you’ll need, we’ll take care of for you either before you arrive, or upon arrival. How do we handle problems? When a problem is found on premises, you are not only notified immediately, but a plan of action is already prepared and presented for your approval. Before any work is completed, we reach out to our network and request quotes and recommendations, reviewing and adjusting these quotes until we are comfortable presenting them to you. We also make sure you aren’t being charged extra just because you might live in Port Royal or another high value community. We take photos and document how the project is coming along the way. We look out for your best interest, and do everything in our power to make your return to Naples a welcome one, affording you the opportunity to enjoy all that Naples has to offer when you get here. Since Hernandez Home Watch and Handy Services is owned and operated by Clyde Hernandez, and is of course, licensed and insured. When you call us, you get him on the phone. If not, you get Mary Hernandez, his wife. He takes an active role in every single client that we service and is involved in the work that is performed on every single job. Sometimes we do hire staff to work with us, under Clyde’s direct supervision. Clyde will still be only a phone call away and checking on the work performed to ensure it meets our high standards. We don’t send just anyone to do our home checks, Clyde does them. We also don’t mess around when it comes to potential issues. We are a family owned business that prides ourselves on our high quality of work. Clyde is meticulous about what happens in your home and demands only top quality from himself and every single contractor that steps into your home. Like what you hear? We are taking new clients, so don’t hesitate to call to get on our schedule today. 239-253-1522.